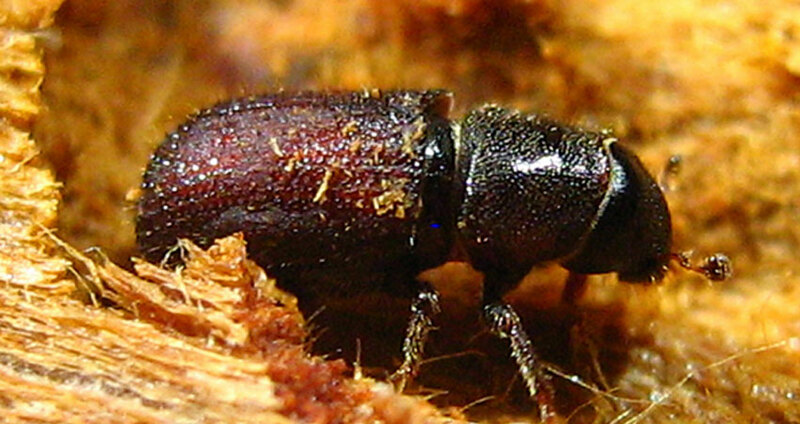 Pine Bark Beetles belong in the Ibs Family of beetles, 26 different varieties most of which will do in a tree in short order. Under the bark is found the cambium layer of wood which transports water up the tree. 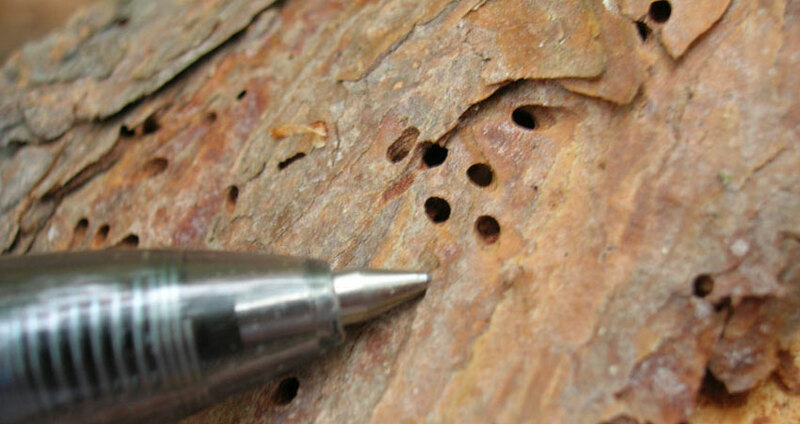 The southern Pine Bark Beetle bores thru the bark and into the cambium layer to deposit it's larvae. (You can hear them crunching at night if its quiet) With the water flow disrupted its only a matter of time (10-14 days) until the top starts to turn brown.